Please share a short bio to introduce yourself. I’m a 5th-generation Native Texan who moved out here from Houston in 2011. I’ve lived throughout the U.S. and spent three formative years, ages 9 thru 12, on a small, impoverished Portuguese island in the mid-Atlantic. (Yeah, I’m a military brat.) I lived in Biloxi, Mississippi in 1962, during the time of the bad race problems and the Cuban Missile Crisis, only a couple hundred miles from there. I’ve been a numbers nerd since the age of eight. I’ve been a martial artist since the age of eleven; I’ve taught a lot, and train daily. I was even an extra in a ninja movie! I do taxes and bookkeeping. And I write about all sorts of stuff. Please tell us about the book(s) you’ve written and a short synopsis. My first book was a statistics workbook for college students, now out of print but still findable on Amazon, published by Allyn & Bacon. In 2010 I self-published Tai Chi In Your Life, a book about using Tai Chi principles to inspire a lifestyle. 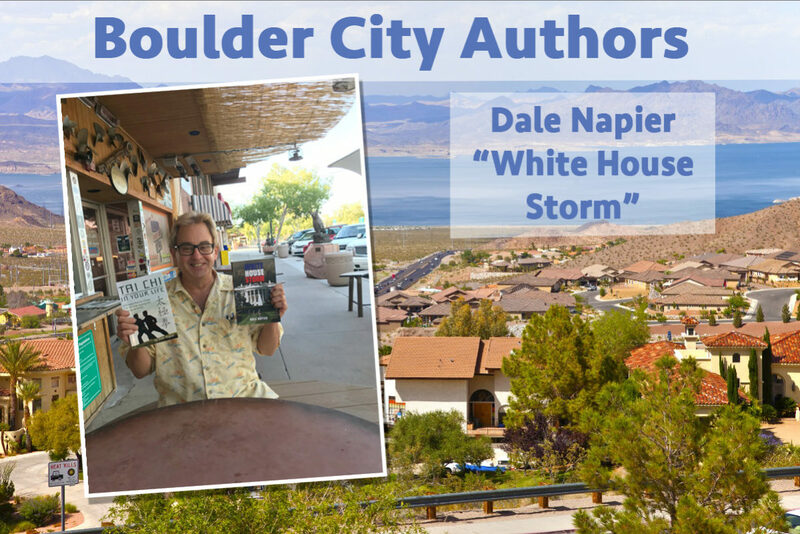 In 2014 I self-published my first fiction, White House Storm, about a general who attempts a coup when he secretly discovers the president has Alzheimer’s. Tai Chi In Your Life – I was teaching a lot of Tai Chi classes, writing for a blog and Tai Chi magazines. I realized there a book would be better suited for developing wider themes and for expanding my potential audience. I could see an interest in Tai Chi lifestyle, as long as it did not focus on a particular style of Tai Chi. I knew how I could market to that niche; I was partly right. You can learn more about it at www.TaiChiInYourLife.com or order it from Amazon HERE. White House Storm – I began working on a novel some time ago about the theft of a presidential election using cyber warfare; that turned into a trilogy. The original novel is the third book; this one is the first. In many ways it is a tribute to [the movie] “Seven Days In May”; two characters are amusing spins of the Burt Lancaster and Kirk Douglas characters in that movie. Most importantly, it uses the conflict to establish the political bona fides of the vice president, a Dallas woman who will be president in all three novels. All three have explosive themes, but number three has been somewhat usurped by the 2016 election so I may have only one more volume, Queen Joan – about an unmarried Republican president who becomes the target of Tea Party-style terrorists after her secret abortion while in office becomes public knowledge. Order the book from Amazon HERE. What do you hope your readers experience or learn from reading your work? Tai Chi In Your Life – Inspiration for their lives and their practice of Tai Chi. There are useful life lessons and tools. White House Storm – fun with the technology, which includes internal cyber warfare and unusual advanced weaponry; and with the characters, who have traits recognizable in various modern politicians and generals. The president with Alzheimer’s is an Ah-nold (Arnold Schwarzenegger) knockoff, for instance. Also, readers need to realize that cyber control or destruction of the country are not empty fears. When and how did you publish it? As I say above, I used CreateSpace for both. I’ve self-published a third book as editor, a memoir by an uncle, Blue Ridge Boys. It starts out, a true story, with seven-year-old boys buying cigarettes and ammo for their rifle, which results in a tragedy. My uncle said mothers used to (in the 1940s) put packs of cigarettes in their boys’ lunch boxes for school. I wrote a short story, fiction, based on the opening incident, called The Last Shot. It all took place in a semi-rural town in pre-war South Carolina. He got shot in the head and survived after a 17-day coma – and is still alive and smoking today, at age 84. What events in your life contributed to your becoming an author? I’ve been writing since taking creative writing in sixth grade. My first character was based on my 22-year-old teacher, who I had a serious crush on. My first publishing was in a newspaper at age 19. I’ve written for a variety of newspapers and magazines over the years, and still do. I’ve also ghost-written for legal and medical professionals who are smart but can’t organize their thoughts. Did you take any formal or informal classes or seminars in writing? What would you say to other would-be authors about the process of writing? I first studied structured non-fiction writing as a journalism student. I had to teach myself to write fiction, mostly by reading a lot of books on the subject, reading writers’ magazines, participating in reading groups, and attending writers’ conferences. My advice: Writers write! Write with focus, but write a lot. Edit your own work a lot: You are the ‘first-responder’ when it comes to editing your work. Keep a Moleskine style notebook to record story ideas that come – and easily go – throughout the day. I often end up mixing and matching these ideas in totally unexpected combinations. How long have you lived in Boulder City? What do you like most about living here? 6-1/2 years. It’s easy to get around, and I can go anywhere by bike or on foot. I like the weather when it’s not summer – no more humidity. Now that I think about it, also no mosquitoes, chiggers, fleas, or cockroaches. I don’t mind the snakes; they seem to know I work with lawyers and so avoid me! Any other thoughts you’d like our readers to know about you or your work? I’m shopping around a new novel, Hell’s Fury, about a Houston P.I. pursuing a religious mystery that ends in the murder of the century (perhaps), though that is only the beginning. Some characters experience real-life heaven and hell, as literally as I could make it without invoking opiates or spontaneous combustion. This leads to the bigger mystery, which explains the killing but is far more ominous. Hell’s Fury has an American (Texan) pope, ninjas, a Vietnamese mayor who was one of the last out of Saigon in 1975, scheming prelates, DARPA geniuses, and 8th-generation members of the city’s power elite, all interacting – about as unique a combination as you’ll find under one roof. Most the central characters are intended for further use, but perhaps not as sequels – perhaps each new story will be from the point of view of a different character.